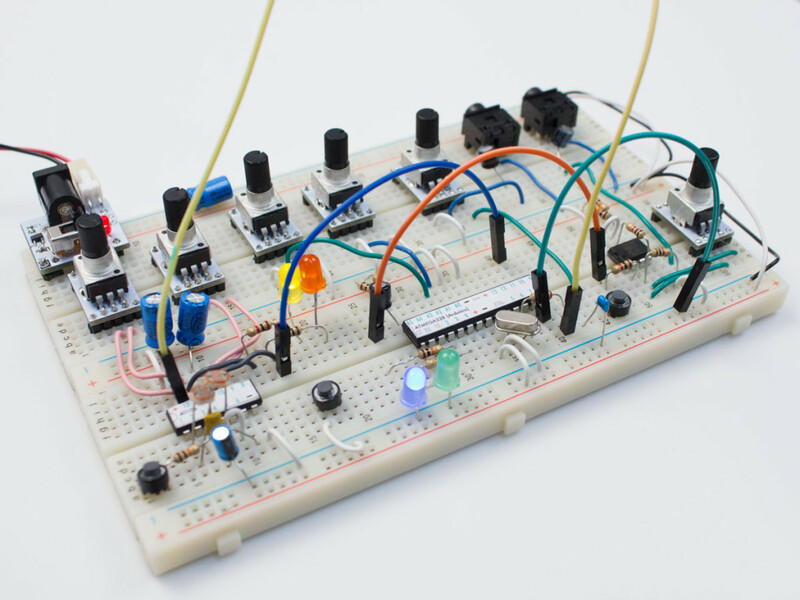 Breadboard based Glitch Delay and Patchable MIDI Synth kits. 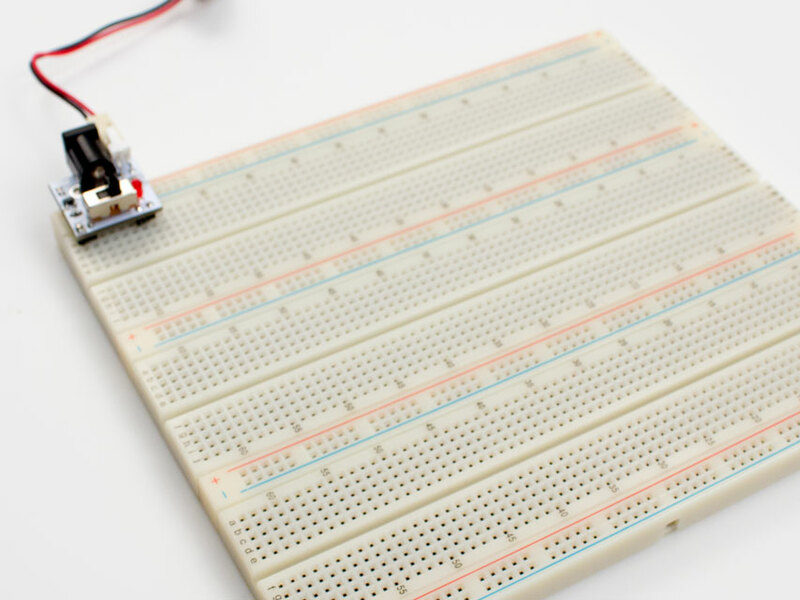 If you’d like to build these circuits, though, all the code and schematics are here. is a collection of synthesizers, effects, and ▲░▼╩▒◊ kits. 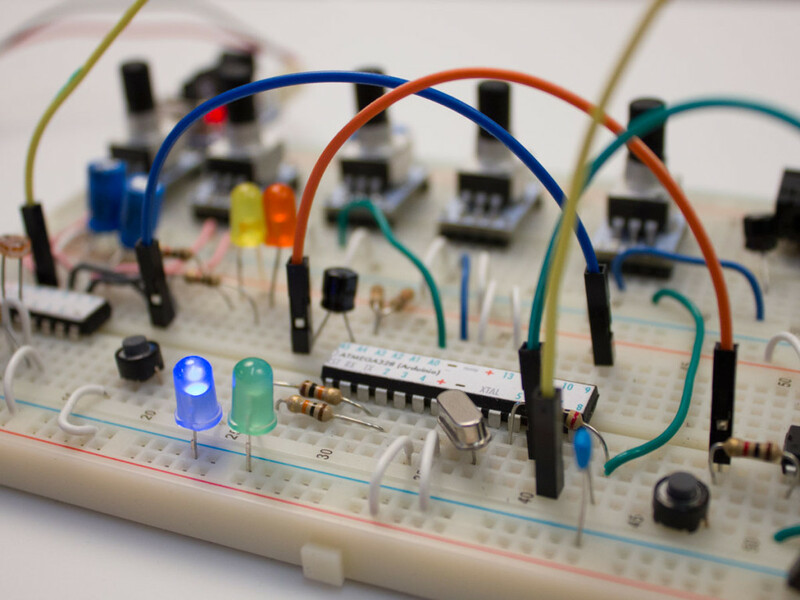 They all work together, are super mod-able, and teach the fundamentals of making analog and digital electronic devices. 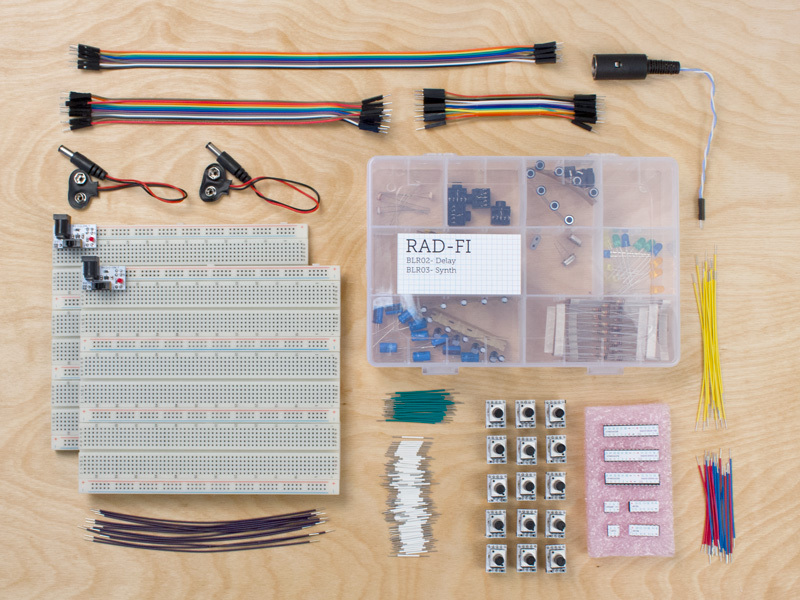 The RAD-FI kits do not require soldering or previous knowledge about electronics, Arduino, or synthesizers. Detailed instructions for the beginner and schematics, code, and hacking guides for the advanced user. The kits are not just a bag of parts. Dr. Bleep’s held lots of workshops for different skill levels and has designing a system that is easy and fun to build. The easy to use Rad-Fi power regulator gets you making noise quickly. It takes 9v batteries and standard 9v “wall wart” AD/DC converters. Our potentiometer boards fit in securely and don’t wiggle around. Chips are labeled and the digital ones are pre-programmed. All the parts you need are included. Most importantly, there are in-depth instructions with diagrams and videos. 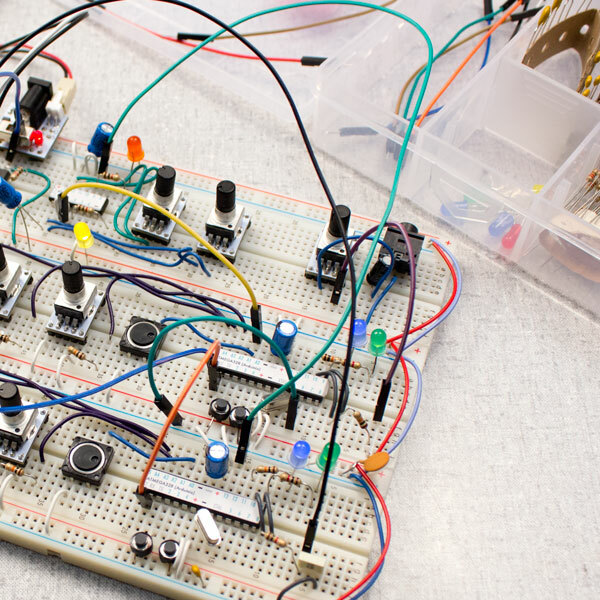 Three breadboards with a power regulator, 9v battery connector, and infinite possibilities. The Rad-Fi power regulator runs off of batteries and standard 9v “wall wart” AC/DC converters (available separately). 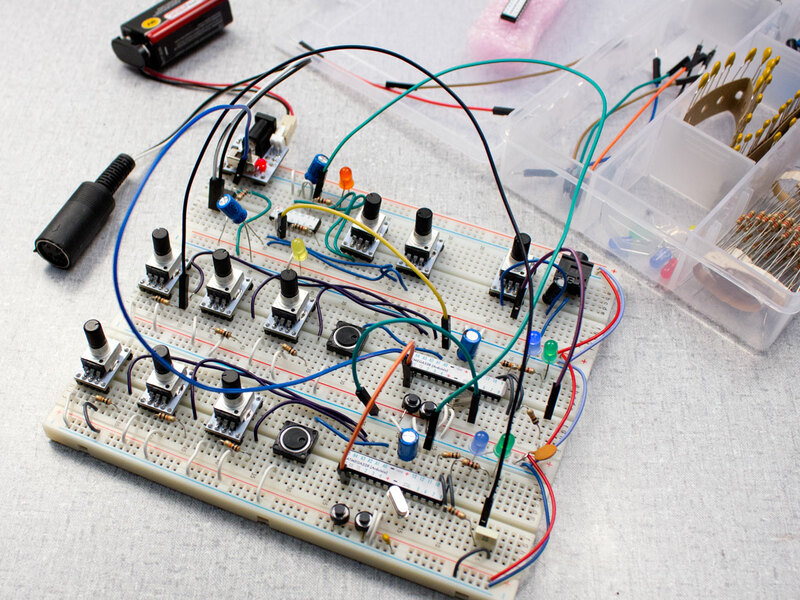 Intro to the breadboard, power supplies, and components. Digital delay effect and an analog photo synth. ○ Includes all the parts you need in a nice plastic compartment case. ○ Arduino based digital delay with adjustable sample rate, freeze, reverse, and ridiculous feedback noise. ○ Detailed instructions with analog and digital modification info. Does not include breadboards or power regulator. Order the Rad-Fi Base for those. Modular synth with sequence recording, MIDI input, and tons of modulation inputs and outputs. ○ Includes all the parts you need in a nice plastic compartment case. Does not include breadboards or power regulator. ○ MIDI input for control of pitch, amplitude, and waveshape. ○ Two outputs, one for pulse, one for triangular waves. ○ Analog inputs for pitch, amplitude/fold, and wave shape. ○ Digital inputs to adjust dual voice mode, noise modes, amplitude envelope trigger and more. See the instructions for info. The kit also includes an analog oscillator chip (40106) which can be used to make LFOs. Patch these and more devices together to make an endless amount of electronic tonalities. Includes a Glitch Delay kit, Patchable Synth kit and two Rad-Fi Bases. You can find all the instructions and guides for the Rad-Fi kits here. Join the Facebook user group to share your Rad-fi creations. What is the power regulator? Why is it needed? Most circuits need a specific, stable voltage to operate and is usually the first point of failure in a circuit. It it’s hooked up incorrectly it can damage itself and the circuit it’s attached to. It takes 9V batteries and standard 9V “wall wart” power supplies used in musical gear, neither of which are included. Do I need an Arduino programmer? No, the chips are pre-programmed and ready to go but can easily reprogram the chips with an Arduino UNO. Is it / why isn’t it an Arduino shield? Both the Delay and Patchable Synth contain an ATMEGA328 running the Arduino bootloader. Instead of having a dedicated shield the devices are all on the breadboard so they can be infinitely modified and made into something completely new. Email or tweet at us with any questions.